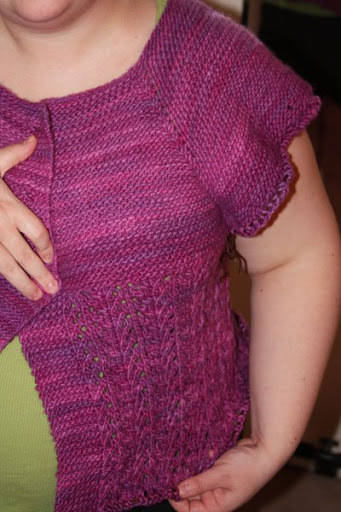 Turns out, I only needed to do one more lace repeat and with the garter edge, it will hit where I like my sweaters to hit: just about the hip bone. One of the nice things about being short is how much less yarn it takes to make a sweater. The end is in sight.